This PHP Script has been created on the basis of an article from the journal PHP Magazin 1 / 2008 written by Aresch Yavari. 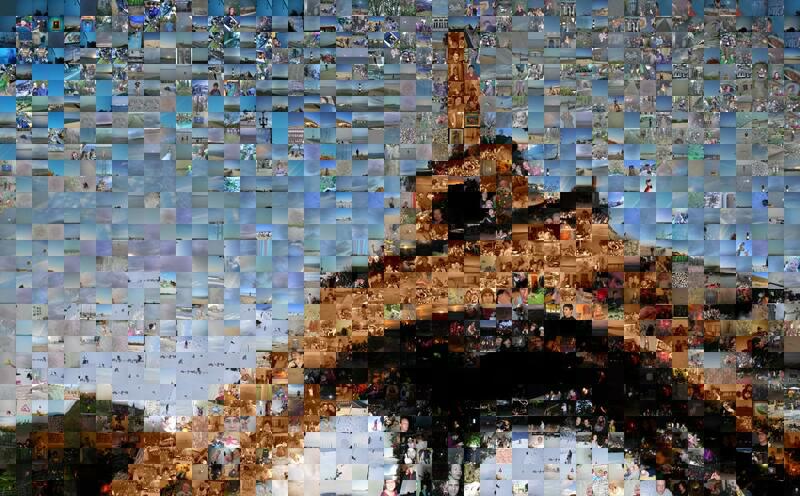 It converts a given image into a mosaic of photos. The photos, which will be used, can be specified individual.